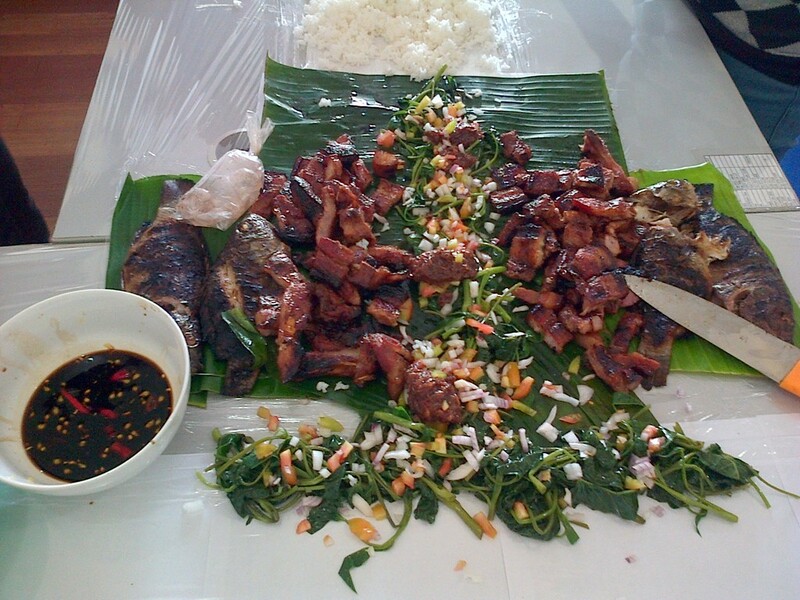 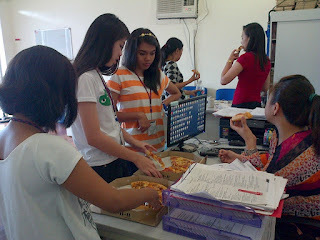 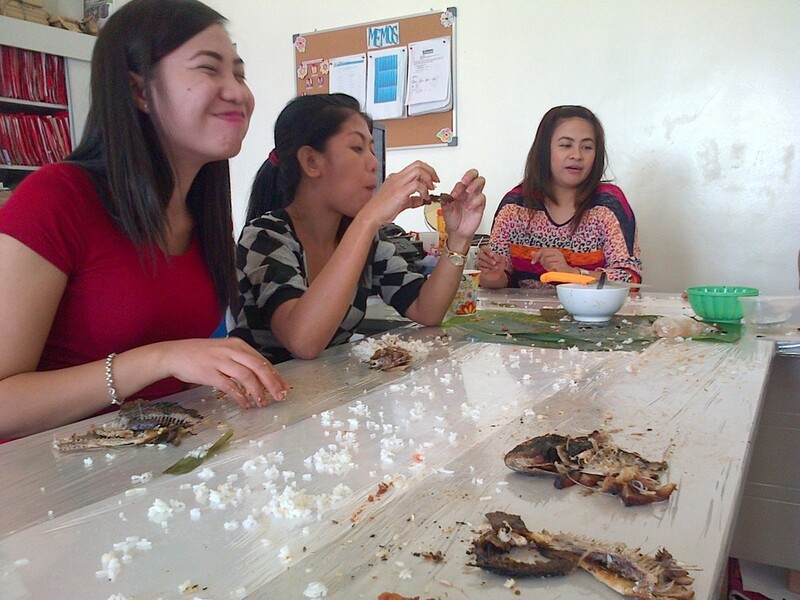 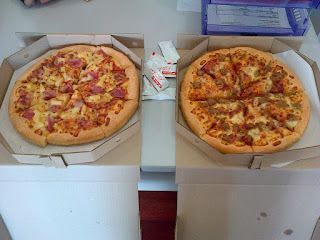 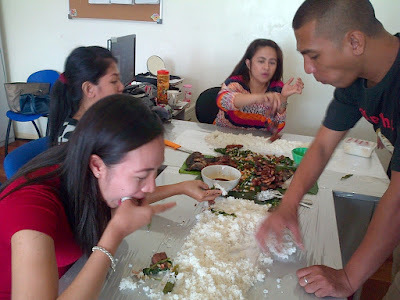 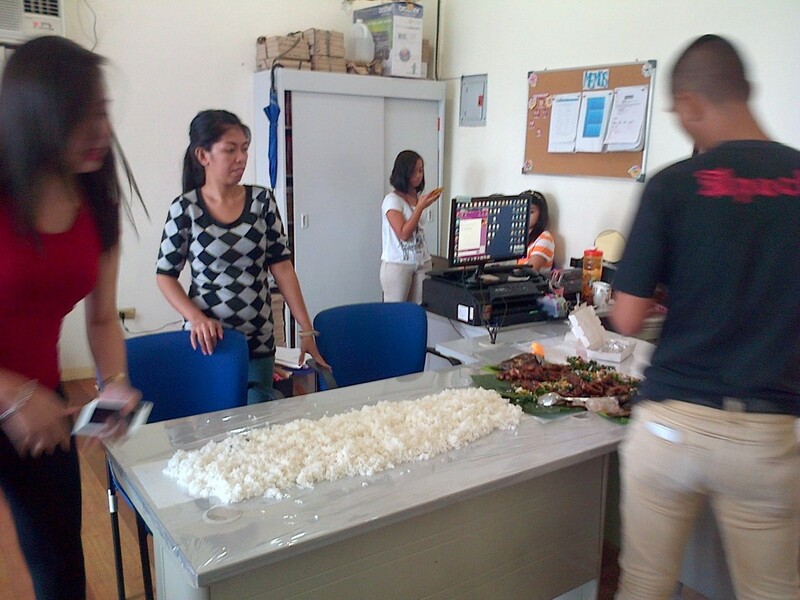 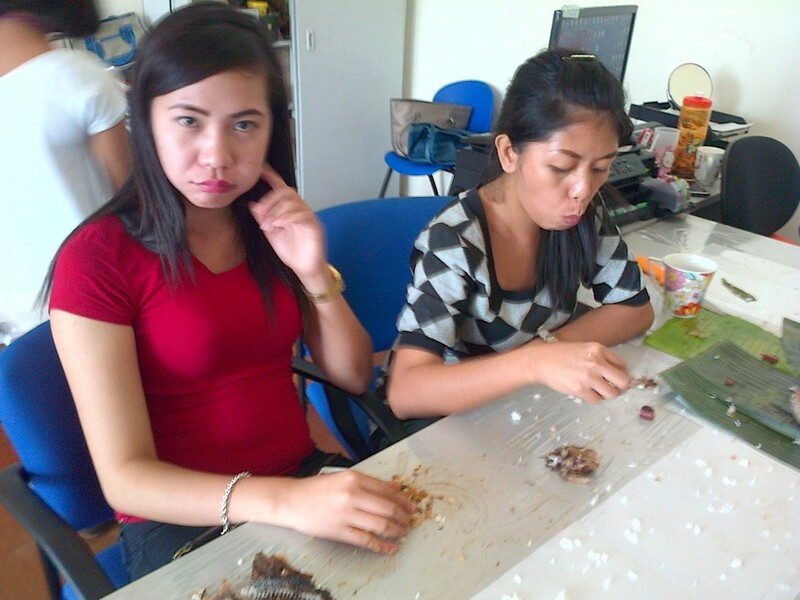 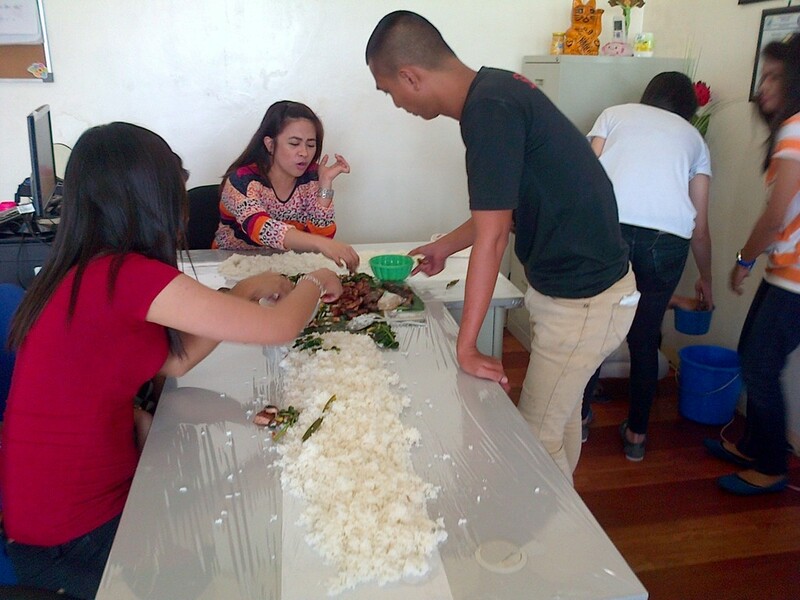 Lunch at office on July 31, 2015, celebrating for reaching loan release quota for the month of July 2015. 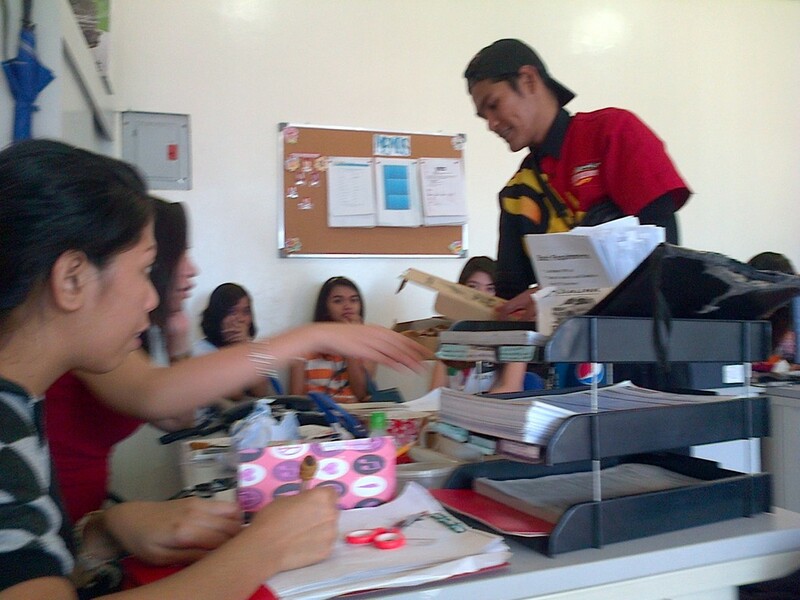 With Branch Manager reliever Jill Capulong, the On-the-Job trainees, Marketing Assistant Vanessa Morillo, Brand Sales Representative Carizza Aquino, Loan Processor / Treasury Assistant John Gilbert Orito, and Document Processor / Branch Messenger Rommel Romulo. 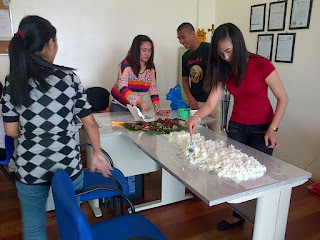 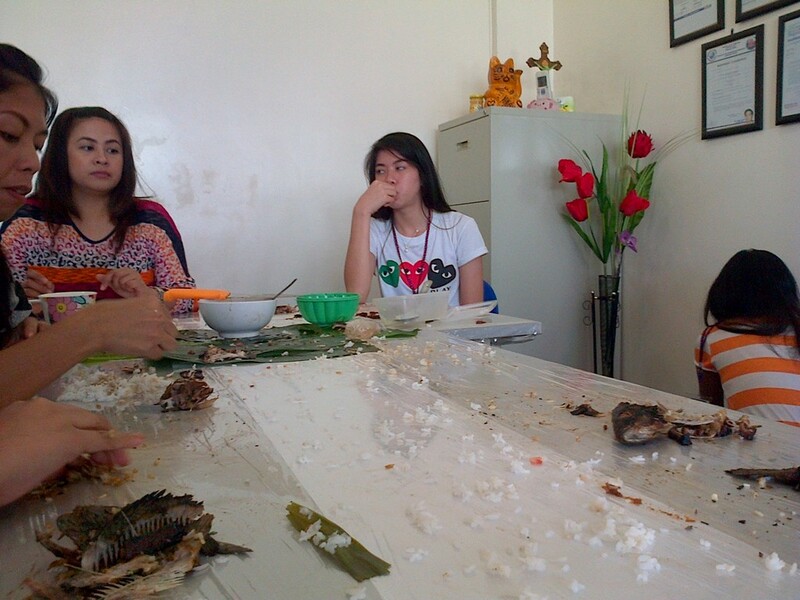 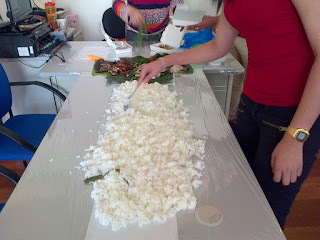 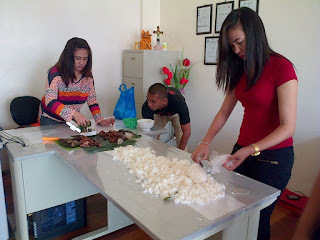 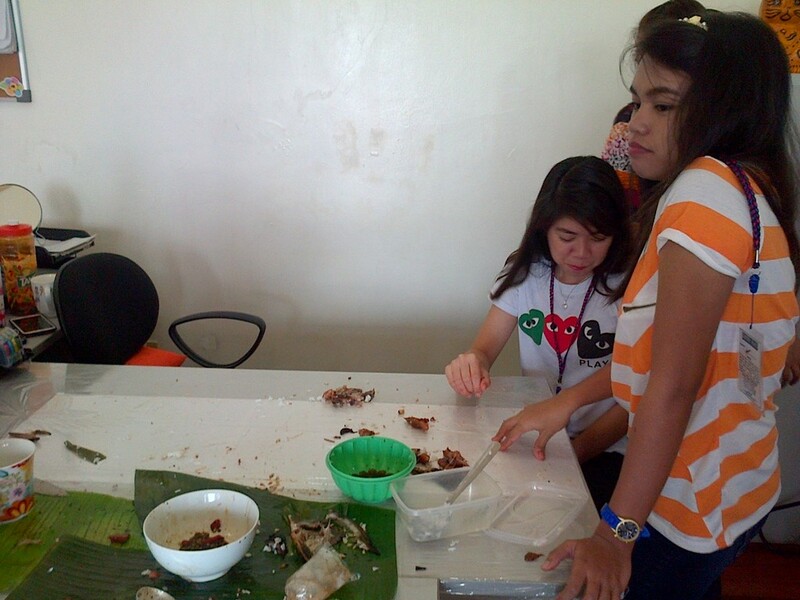 Table was covered with plastic wrapper because we couldn't find banana leaf that day.